Palestinian rabbi of the seventeenth century. He was a disciple of Jacob Ḥagiz, one of whose daughters he married. He wrote: "Geṭ Pashuṭ," on the laws of divorce, Ortakeni, 1714; "Shammot ba-Areẓ," Talmudic novellæ; Constantinople, 1727; "'Ezrat Nashim," on matrimonial law, ib. 1731. 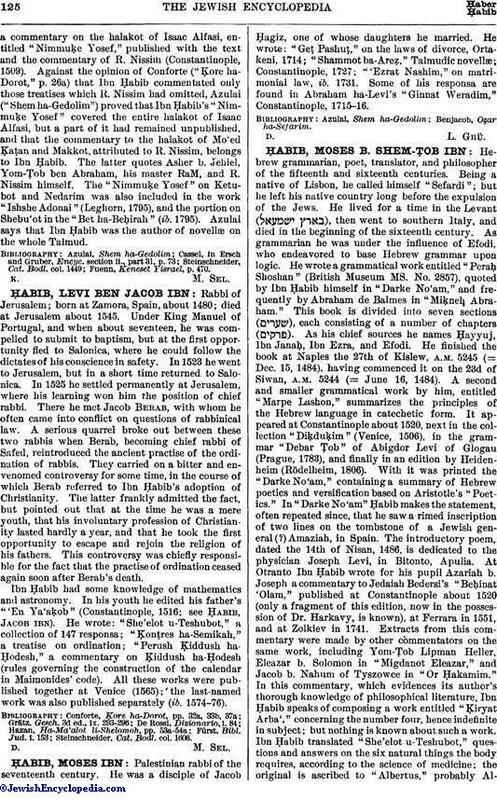 Some of his responsa are found in Abraham ha-Levi's "Ginnat Weradim," Constantinople, 1715-16.